STARSKIN’s NEW! 7-Second Morning Mask™, Miracle Skin Mask Pads, are proving to be a serious best-seller in the skincare department. After their first week on sale in the UK, they have sold-out in Selfridges, Harvey Nichols and Anthropologie, and online at ASOS, Beautybay.com, Feel Unique, and Birchbox – they already have a waiting list for their arrival back in-store at the end of this week! This an all-in‐one skincare innovation that combine a 7-step morning skincare routine into one easy-to-use mask pad, getting you from zero to fabulously radiant in just seconds! Inspired by Korean women’s meticulous multi-step skincare routines, this is a 7-in-1 product that combines all of these steps; cutting out the need for a toner, exfoliator, serum, moisturiser and primer. 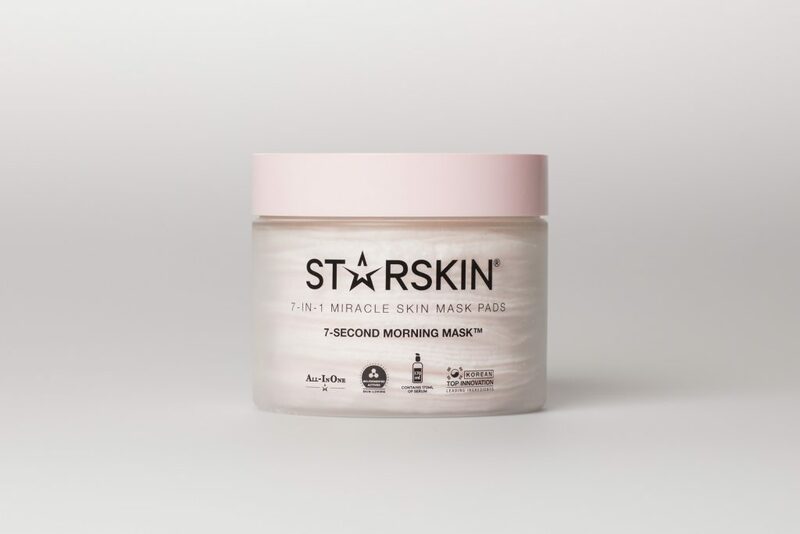 7 Second Morning mask is full of active ingredients to brighten, refine, hydrate and exfoliate, making this a go-to quick fix for women in a hurry. The formula works as a leave-on mask by slowly releasing its active ingredients throughout the day, to help replenish and hydrate for a prolonged period of time. All STARSKIN products are free from parabens, silicone, mineral oils, sulphates and synthetic dyes. We are PETA-certified and all our products are not tested on animals.